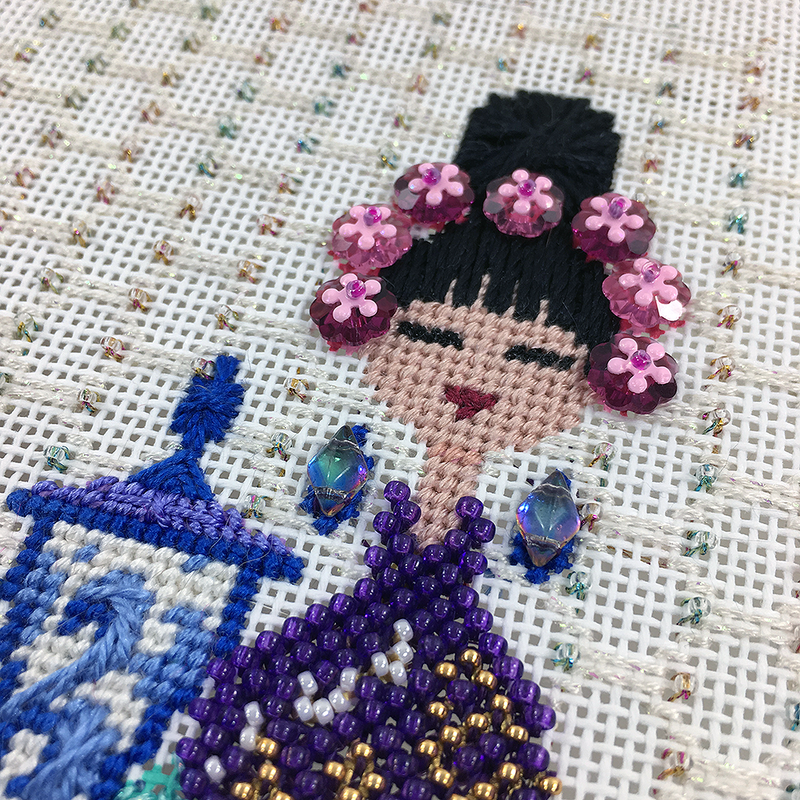 How to stitch purple brocade? That was the fun of the gown on the 4th girl at our party. 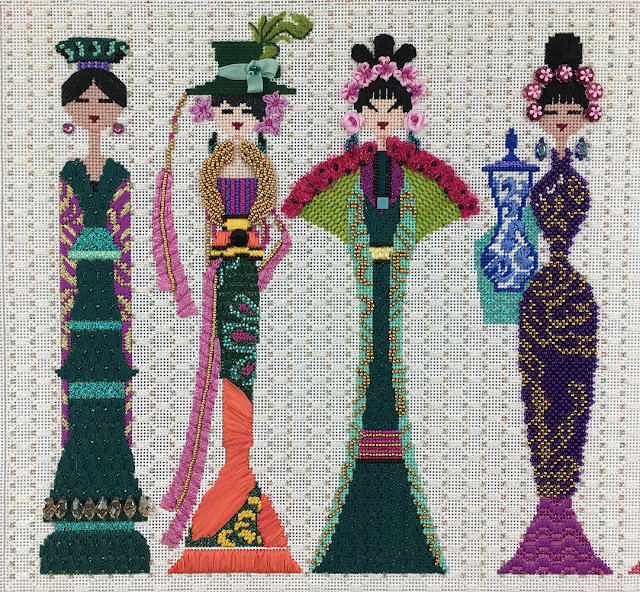 This is Row of Ladies II by Lee. It is one of the Mystery with a Twist classes that we offer. 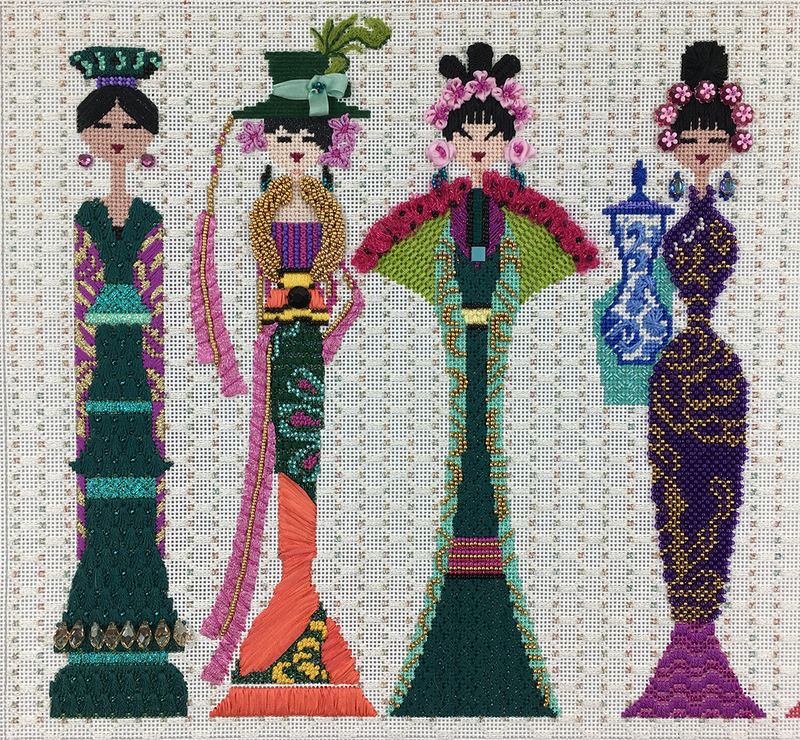 Sign up for a Mystery with a Twist and every so often you will receive a package with a portion of the stitch guide and the appropriate threads, beads and embellishments. Stitch the lesson and then move to another fun project while you wait for the next twist to arrive. The answer to how I chose to stitch the purple brocade was beads! 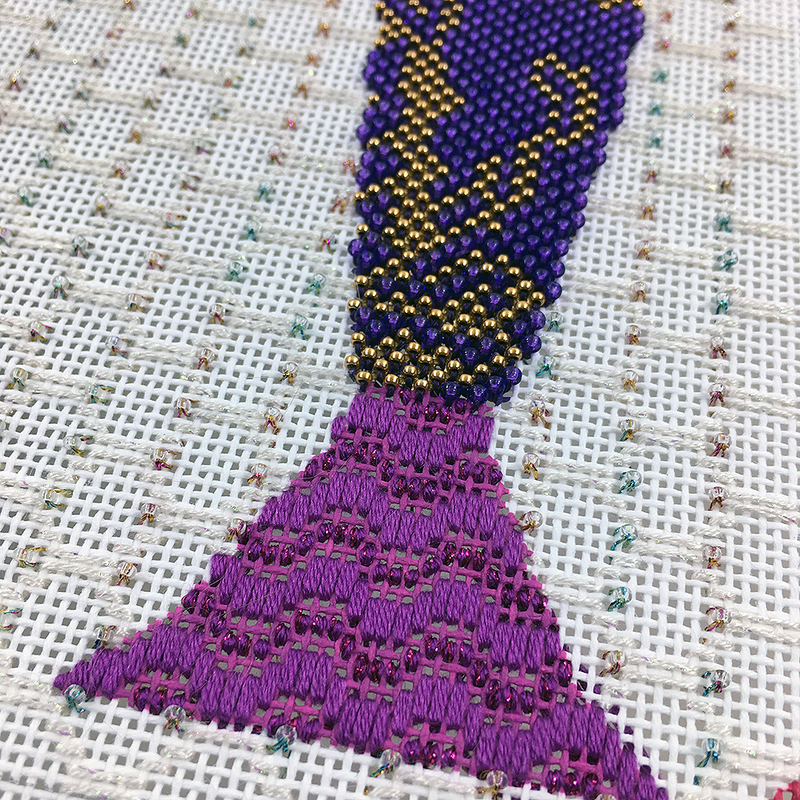 Lots of beautiful purple and gold beads 🙂 The fun part is that the beads are two different sizes. The purple are size 11 and the gold are size 14/15. It makes for a great texture. The bottom of her dress is a soft wavy pattern of silk and metallic in a yummy fuchsia. Her headdress sparkles with large splashy Swarovski crystals. Who could say no to that? We have shipped as many kits as we could. We are waiting for a Treenway silk to finish up the remaining kits and then they will be on their way! If you would like to join the fun of our Row of Ladies, you can sign up here or give us a call at 410.296.0405. Tomorrow will be the final lesson of the blue bird. Stay tuned to see the fun. « Previous: Want to make a flower?